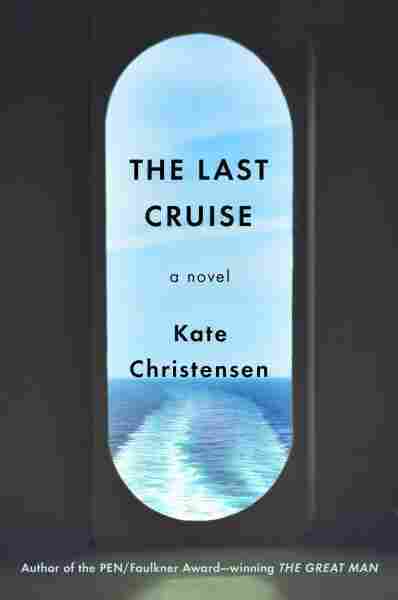 'The Last Cruise' Is A Bit More Than A 3-Hour Tour Kate Christensen's new novel follows a group of people on a vintage-themed cruise — think cabaret, cocktails and no Internet — who are thrown together unexpectedly when things go wrong on board. Somewhere toward the end of the last century, American cultural tastemakers decided that the 1950s were emblematic of the best this country had to offer. Young people dressed in bowling shirts and poodle skirts to go to neo-swing concerts and started unironically smoking unfiltered cigarettes and using retro slang. For a lot of reasons — not least of which being that the good old days were just the old days if you didn't happen to be a straight white man — it was awful. Such a vintage-themed voyage is at the heart of Kate Christensen's excellent new novel, The Last Cruise. The book follows a group of people who embark on a cruise from Los Angeles to Hawaii aboard a retrofitted ocean liner, complete with "retro menu, classic cocktails, cabaret singers, jazz bands, string quartets, old movies, blackjack and baccarat in the casino. Everyone would be expected to dress for dinner. There was no Internet service, and no one under sixteen was permitted on board." Among the travelers is Christine, a Maine farmer lured on the voyage by her sophisticated New York journalist friend, Valerie, who's writing a Studs Terkel-style book about workers on the lower rungs of American industry. Christine is eager to take a break from her semi-happy marriage, which has lately been marked by a conflict: Her husband wants children, but Christine can't seem to "picture herself as a nineteenth-century farm wife, bearing children in pain and danger, nursing and tending and rocking and nurturing them one by one as they arrived, along with all the other daily and seasonal chores." Also on the ship is Mick, a gruff Hungarian chef stuck in a relationship and career that are both going nowhere. He turned down an offer to run a highly regarded restaurant, a move he now regrets: "He'd overreached. And as always when he overreached, the gods, or whatever they were, had slapped him down. He never learned." There's also Miriam, an Israeli violinist who, with the rest of her classical music quartet, has been charged with entertaining the passengers. Inconveniently for her, her ex-husband is also a member of her band, along with a man she's nursed a longtime crush on. It's not long before the cruise is beset by twin disasters, each one exacerbating the other. The unfortunate circumstances leave the passengers and crew members desperate, and the initial tentative camaraderie among those on board turns into thinly veiled hostility. 'The Last Cruise' plays out a lot like a '50s disaster movie, and that's a good thing. The Last Cruise plays out a lot like a '50s disaster movie, and that's a good thing. It's a tremendously entertaining novel that never asks readers to turn their brains off — there's plenty of slow-burn suspense, but it doesn't come at the expense of unrealistic characters, which is a trade-off many authors are too willing to take. All of the characters are fascinating in their own ways, especially Christine, whose self-effacing humility makes her unable to fully enjoy the luxe trappings of the cruise. After things start going awry, she forms a quick friendship with Mick, who's taken aback by the farmer's unpretentious attitude. Their back-and-forth is a highlight of the novel; the two see something familiar in each other, even if they're not totally sure what, if anything, it means. Christensen inhabits all of her characters beautifully, though. Miriam, in particular, is enchanting, steely but sweet, and the repartee among her and her bandmates rings true to life — it's all semi-affectionate sniping, exactly the kind of conversation you'd expect from four friends who have worked with one another for decades. If there's one fault in The Last Cruise, it's the novel's ending, which is perhaps a bit too dramatic — it requires a little bit of suspension of disbelief, with a few of the characters acting in ways that don't quite match their behavior in the earlier parts of the novel. But on the other hand, the drama is consistent with the '50s-movie feel of the novel, and it seems churlish to nitpick when the overall effect is so startling and so much fun. The Last Cruise is a captivating voyage — it's a great summer read, sure, but it's well worth taking the ride no matter the time of year.